A NEW SPIN ON MATCHING PUZZLE GAMES! Spin, Match, and Win in this unique matching puzzle game! Get a free starter pack & Daily Challenges, only on Google Play. Join Jasper the Mole on his adventure through more than 30 lands to complete 450 colorful levels! 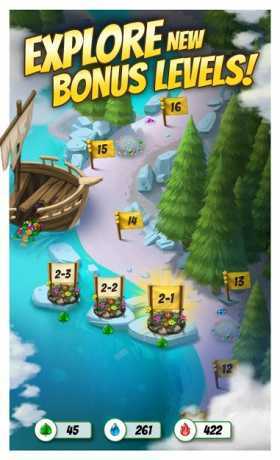 Spin the wheel for gems, match them on the board, and watch them cascading with matches of three or more. The larger the match, the higher your score! Expect free updates including new levels, obstacles, offers & boosts, daily events, and more. • Match-3 and Slots combine in this innovative, addicting player experience! 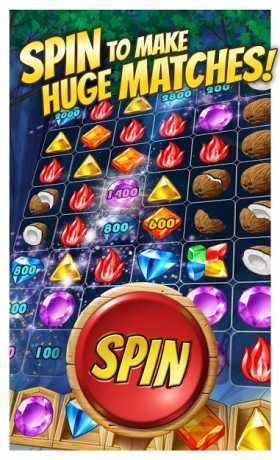 Spin for your jewels and gems, match in groups of three or more, and watch for your chance at cascading jackpots to clear the board. • Over 400 hand-crafted levels; no friend gates, no paywalls, no shenanigans, completely FREE to play for life! • Exciting events every day – complete Quick Quests for prizes, blast your way past the competition in the Daily Challenge, free daily prize wheel spins, and experimental Lab Levels! • Claim more prizes with Android exclusives & Google Play Daily Events – or seek out powerful Dig Spots on your journey for special gems! • Earn Burst Gems, Wilds, Super Matches, Hammers, Shifters, and other game boosts to help you match through the most puzzling levels! Chances for even more boosts through the daily free prize wheel spins! • Be social — Compete against your friends and competitors through leaderboards, invite them to play, build a team of friends in daily challenges & gift extra lives to Facebook friends! • Beautiful, hand-painted artwork with charm and heart! • Seamless synchronization between multiple devices to play wherever you go and save your progress. Players agree Cascade is “uniquely strategic”, “addicting “, and “brilliant fun”! Fall in love with Jasper the gem digging Mole on his quest to dig up jewels, colorful gems, beautiful leaves, and sparkling diamonds. Get help from his cute animal friends along the way — sloths, otters, foxes, bears, puppies, pandas, bunnies, wolves, and more! 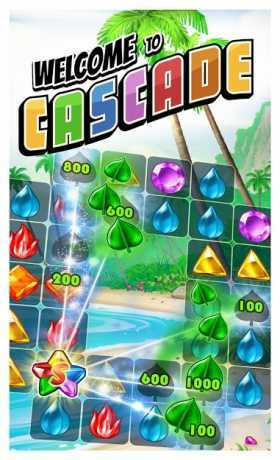 Swap out your current matching puzzle game for Cascade!